Welcome to the 39th edition of Independent Actuaries & Consultant’s (IAC’s) MVA newsletter. Both the merits of the plaintiff’s claim and the quantum of his damages had been agreed between the parties. 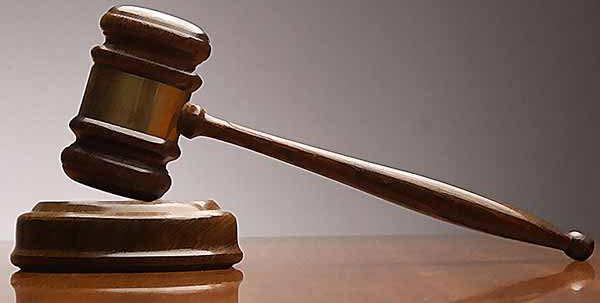 The court ordered that the defendant pay the plaintiff the sum of R3,050,612-16 (Three Million Fifty Thousand Six Hundred and Twelve Rand and Sixteen Cents) in full and final settlement of his damages. The parties were unable to reach agreement in respect of the costs order to be made. The defendant tendered the plaintiff’s costs including the qualifying expenses of expert witnesses on a party and party scale. The plaintiff seeked an order that the defendant pay the costs of two counsel. This was the only issue in dispute. Summons was originally issued in February 2013 claiming the amount of R6 082 652.00 and the Particulars of Claim were prepared and signed by junior counsel. A subsequent amendment inflated the figures, notably those in respect of loss of earning capacity and general damages, so as to claim the amount of R8 144 578.52. On 1 October 2013 the plaintiff’s attorney of record instructed a second counsel to lead the junior counsel who had drafted the pleadings and to conduct the trial. 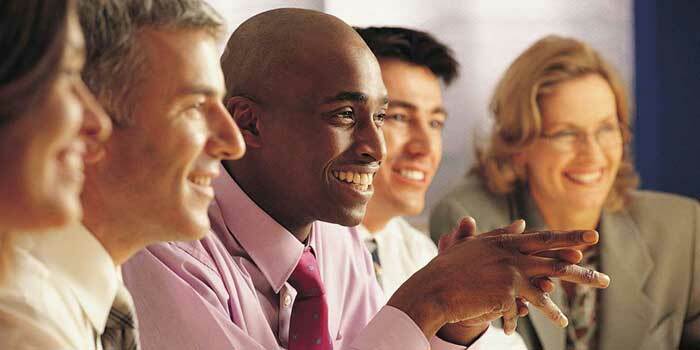 The bulk of the claim related to loss of earning capacity and general damages. The court noted that generally, the computation and proof of a claim for loss of earning capacity does usually involve complex issues of fact and law. Where the claim is large, then it is usually a reasonable and prudent precaution for a plaintiff to engage the services of two counsel. The accident in the present case, however, occurred on 8 October 2008 after the amendment act came into force that has the effect of “capping” loss of income claims. The plaintiff’s claim in respect of his actual loss of earning capacity amounted to R7 025 477,00 as calculated by an actuary. His loss of earning capacity computed and capped in accordance with section 17(4)(c) of the Act as calculated by the same actuary, amounted to R2 583 000,00. The court held that where it is a foregone conclusion that the plaintiff’s actual loss of earning capacity will far exceed the limit set by section17 of the Act, the calculation and proof of the plaintiff’s entitlement will not involve any significant factual or legal difficulty. The court further held that the assessment of general damages is dependent primarily on the lay evidence of the plaintiff himself and, though not entirely simple, was not so complex as to justify the employment of two counsel. In the courts view one counsel of sufficient seniority and experience could have properly handled the matter without any significant difficulty. Welcome to the 37th edition of Independent Actuaries & Consultant’s (IAC’s) monthly newsletter. This was an appeal against orders in respect of the appellant’s past loss of earnings and future loss of earning capacity. The amount claimed at trial by the appellant (‘Miller’) for past loss of earnings was R2 099 410.85 and the amount awarded was R90 670.86, the amount claimed for loss of earning capacity was R4.2 million and the amount awarded was nil. The major part of the claim was based on the consequences of depression suffered by Miller post-collision which affected his ability to properly carry out his work as an architect on a major building project (The Decks) in which he was involved at the time of the collision. Miller’s case was that his deficient performance on The Decks caused him reputational damage, which in turn impacted negatively on his ability to obtain work on better projects thereafter. It was not in dispute that prior to the collision Miller was a gifted, accomplished architect with a growing practice of his own and particular expertise in the restoration of historic buildings. The Decks project was Miller’s brainchild. Miller was severely injured in the collision and was bedridden for a period of three months thereafter at a crucial stage of the project. Miller’s role was pivotal for the successful advancement of the project as much of the concept was ‘in his head’. It was Miller’s testimony that The Decks project would have brought him not only professional esteem, but would also have put him on the map for future developments of this nature. The developer of The Decks testified that Millers lack of performance on The Decks resulted in them refusing to appoint him as an architect on future projects; that word got around in the industry that he had become a high risk architect and this similarly resulted in him not being able to secure remunerative work of the same standard. Taking these factors into account the court applied a contingency deduction of 40% to the net amount Miller could have earned on work that he would have been appointed on, but for the accident, from the time of the collision to the time of the hearing (past loss of earnings). The court further held that it was not appropriate to deduct the actual income earned by Miller over the same period as it can be accepted in his favour that he would have been able to accommodate all of the work, given that his actual work over the period was relatively little. In considering Miller’s R 4.2 million claim for loss of earning capacity the court found it probable that the reputational damage which Miller suffered as a consequence of The Decks is something that he would be able to overcome and accordingly has to be given a diminishing effect over time and the economic decline in the industry would undoubtedly have played a role in Miller’s future earning capacity. The court awarded an amount of R 250 000.00 in regards to Miller’s claim for loss of earning capacity. Welcome to the 36th edition of Independent Actuaries & Consultant’s (IAC’s) monthly newsletter. The question that needed to be answered was whether a static cap, fixed at the time the calculation is made, should be used to calculate a plaintiff’s future loss of income or whether the cap amount, as at the date of calculation, should be adjusted for inflation for every future year in which the loss is calculated. It is obvious that a cap that is adjusted for inflation for every future year of calculating the loss will result in the plaintiff receiving a larger payout. A man sat down at a bar, looked into his shirt pocket and ordered a double scotch. A few minutes later, the man again peeked into his pocket and ordered another double. This routine was followed for some time, until after looking into his pocket, the man told the bartender he’d had enough. Can An OT Or IP Assess A Plaintiff For Purposes Of The RAF 4? The RAF v Duma, Kubeka, Meyer & Mokoena  ZASCA 169 (27 November 2012). 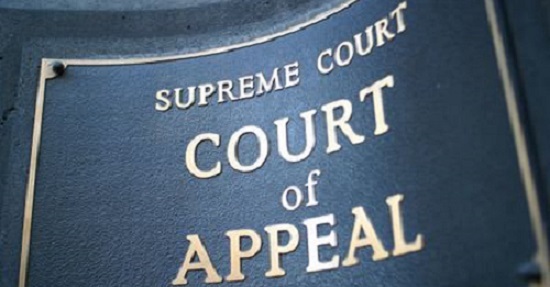 The Fund contended on appeal that the High Court should have held in each case that the issue whether the plaintiff had suffered ‘serious injury’ had not been determined by the method prescribed by the regulations and that the High Court should therefore not have awarded general damages. In all four cases the RAF 4 form was signed by a psychiatrist, Dr Braude. In all four cases the Fund filed special pleas stating that the plaintiff had not complied with regulation 3 and that his or her claim for general damages was either not competent or premature. In all four cases the Fund subsequently rejected the RAF 4 by means of a letter from its attorneys. These letters were written at least one year after the RAF 4 form had been delivered to the Fund and very shortly before the commencement of trial. In each case the RAF 4 was completed by Ms Marks an occupational therapist and signed by Dr Braude without him examining the patient, instead relying on the hospital records and other expert reports which in some cases were 7 months old. The Fund contended in the High Court that the plaintiffs’ RAF 4 forms did not comply with regulation 3 because Dr Braude had failed to do a physical examination and Ms Marks was not a medical practitioner, the RAF 4 forms had been rejected by the Fund, and therefore the plaintiffs’ remedy was to declare a dispute with the HPCSA in terms of regulation 3(4); and that in the circumstances, the court could not entertain the claims for general damages. The High Court did not agree and held the RAF 4 forms were in fact compliant with regulation 3 and it was apparent from the medical evidence that the plaintiffs did indeed suffer serious injuries. Moreover, the Fund’s rejection was invalid because the Fund had failed to reject the RAF 4 forms within a reasonable time and its right to do so had therefore expired and secondly, since the Fund had given insufficient or invalid reasons for its rejection, it did not constitute a proper rejection. The Appeal Court did not agree with the High Court’s construction that if the Fund should fail to properly or timeously reject the plaintiff’s RAF 4, such rejection can be ignored, if the medical evidence before the court then shows that the plaintiff was indeed seriously injured the court can decide the issue of general damages. The Appeal Court held this approach to be fundamentally flawed as the legislature chose to confer the right to decide whether or not an injury is serious enough to justify an award of general damages on the Fund and not on the court. The Appeal Court further held that any determination of the period within which the Fund should reasonably take that decision must depend on the facts of each case. As regards the 2nd reason given namely that the the RAF 4 forms were rejected without proper reasons the Appeal Court held that the Fund’s decision to reject the RAF 4 forms constituted administrative action and until that decision was set aside by a court on review or overturned in an internal appeal, it remained valid and binding. Additionally the court was asked to deal with the question of whether the RAF 4 forms in these cases met the requirements of regulation 3(1). Must a medical practitioner physically examine the claimant for purposes of the assessment? The honourable Judge found that regulation 3(1)(a) requires a medical practitioner to physically examine a claimant. Can the assessment be done by an occupational therapist? The short answer is no. The honourable Judge found that Ms Marks, who is an occupational therapist, did not qualify as a “medical practitioner”, within the meaning of regulation 3(1)(a), but rather as a “health practitioner”. Can an assessment in terms of regulation narrative test be conducted without first performing the assessment in terms of regulation AMA guides? The honourable Judge found that if one had a look at the contents of the RAF 4 form itself, which is incorporated in the regulations, it is of significance that paragraph 4, which deals with the AMA guides, contains the substance of the report. If paragraph 4 were to be left uncompleted, the report would be of little substance. The inference to be drawn from the contents of the report is that it was never intended that an assessment could bypass the AMA/WPI test. Who is the roundest knight at king Arthurs table? The main issue in this appeal was whether or not the common law should be developed to extend the dependents’ action to permanent heterosexual relationships. The appellants sued the Road Accident Fund for loss of maintenance and support arising from the death of José Adelino Do Olival Gomes in a motor vehicle collision on 2 January 2008. The deceased had been living with the first appellant (Mrs Paixão) and her children at the time and supported them financially. He had planned to marry her, but had not yet done so. The South Gauteng High Court found that the deceased had supported the appellants out of ‘gratitude’ in return for their assistance during his illness rather than from any legal duty, and also that it ‘would be an affront to the fabric of our society . . and seriously erode the institution of marriage’ if the dependents’ action were to be extended to the appellants. It therefore dismissed their claims but granted them leave to appeal to the SCA. In its judgement the SCA stated that a plaintiff’s assertion that he or she was in life partnership, cannot be taken as sufficient proof of the fact. Proving the existence of a life partnership entails more than showing that the parties cohabited and jointly contributed to the upkeep of the common home. It entails demonstrating that the partnership had similar characteristics to a marriage. The implied inference to be drawn from the proven facts must be that the parties, in the absence of an express agreement, agreed tacitly that their cohabitation included assuming reciprocal commitments – ie a duty to support – to each other. The facts showed that the community accepted the deceased, Mrs Paixão and her children as a family and did not regard their cohabitation as opprobrious. Cohabitation outside of a formal marriage is now widely practiced and accepted by many communities universally and therefore not against the boni mores. Evidence that the parties intended to marry may be relevant to determining whether a duty of support exists, as in this case. But it does not mean that there must be an agreement to marry before the duty is established. The court held that the dependents’ action is to be extended to unmarried persons in heterosexual relationships who have established a contractual reciprocal duty of support. Welcome to the thirtieth edition of Independent Actuaries & Consultant’s (IAC’s) monthly newsletter. Based on the lack of response regarding the training seminar on how to work with the IAC blog we have decided not to proceed with same. However, in line with our ethos of adding value to our clients business, we are looking at presenting a time management workshop aimed at equipping your supporting staff (personal assistants, office managers, legal secretaries, typists and article clerks) to better manage their time and your resources thereby increasing productivity. The workshop will take place during the July 2012 recess, depending on your response. Please indicate via return mail whether you are interested and how many people from your firm might attend. The plaintiff, the driver of a Mercedes-Benz bus, was involved in a motor vehicle collision. As a result of the collision the plaintiff sustained the following injuries: soft tissue injury of the scalp, neck, shoulder and ankle; loss of 50% of his sight to the left eye and emotional trauma. The Plaintiff was employed as a professional driver for most of his working life. His claim for loss of earning capacity was based on him no longer being physically able to drive because of the shoulder injury, loss of sight in his left eye and head injuries sustained in the accident. The court further held as trite that damages for loss of income can be granted where a person has in fact suffered or will suffer a true patrimonial loss in that his or her employment situation has manifestly changed. The plaintiff’s performance can also influence his patrimony if there was a possibility that he could lose his current job and be limited in the number and quality of his choices should he decide to find other employment. In casu the honourable Judge found that had the plaintiff remained in his erstwhile employment he would not have succeeded in his claim for loss of earnings / earning capacity. But because he left the job, irrespective of what the cause was, he must be compensated if he could establish that but for the accident he was no longer fit to drive and that his choices, either in number or quality, of finding alternative employment were now limited and his chances of retraining for a new career were negatively affected. Q: What’s the difference between a lawyer and a herd of buffalo? In this case the plaintiff submitted a serious injury assessment form i.t.o. reg 3(3)(a) describing her injuries as a serious long term impairment or loss of a body function. The Dr’s handwritten notes stated that she had lost ¾ of her left index finger. The defendant rejected her RAF 4 form 5 days before trial informing her that her injury does not constitute a 30% WPI as required i.t.o. the AMA guides and further that her RAF 4 form establishes no basis that the four elements of the narrative test has been satisfied. The letter continued stating that if the plaintiff wishes to dispute the rejection she can do so by following the procedure set out in Reg 3(4) and 3(13). Subsequently a special plea was raised that the plaintiff cannot claim general damages unless she complies with the act. The plaintiff did not respond, instead the plaintiff relied on the Louw matter, stating that the Fund had to reject the RAF 4 within 60 days of receiving it, failing which the claim for general damages is a valid claim. The judge disagreed stating that neither the act not the regulations stated a time period within which the fund had to reject the plaintiff’s RAF 4 form. The judge further stated that he is of the opinion that there should be a distinction between a claim for pecuniary and non-pecuniary loss in regards to the provisions of Sec 17(1)(b) of the act. The judge went on to distinguish this case from the Louw matter on the grounds that in the latter case evidence was presented to the court in respect of the seriousness of the plaintiff’s injuries. In closing the judge stated that the RAF 4 form should deal with the effects of the injury in detail where the narrative test is employed. The special plea was upheld.